Dr. Roya Zandparsa is a Professor and Biomaterials Course Director of the Department of Prosthodontics at Tufts University School of Dental Medicine. Dr. Zandparsa also taught at the Department of General Dentistry and Management Science at New York University College of Dentistry and the Department of Restorative Dentistry and Biomaterials Science at Harvard University School of Dental Medicine. Dr. Roya Zandparsa received her DMD from Tufts University School of Dental Medicine and MSc in Biomaterials & Biomimetics and Certificate in Prosthodontics from New York University (NYU) Graduate School of Arts and Science and New York University College of Dentistry respectively. She completed a fellowship in Implant Dentistry from Harvard University School of Dental Medicine, a fellowship in Academic Leadership from American Dental Education Association (ADEA) Leadership Institute, and obtained certificates in advanced surgical implant, Invisalign, and Six Months Smiles; Short Term Orthodontic. 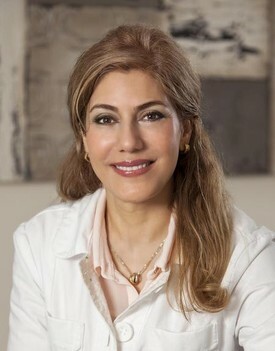 Dr. Zandparsa has received numerous awards during her academic career, including Dr. Harold Litvak Fellowship Award and the Adisman award in Prosthodontics for being an outstanding scholar & clinician from NYU College of Dentistry, and Deans’ Awards for Excellence in clinical teaching from Tufts University School of Dental Medicine. In addition to all her teaching responsibilities, Dr Zandparsa is the Faculty Advisor of American Association of Women Dentists, Dean’s Advisory Committee on Continuing Education, member of Strategic Planning Oversight Committee, Women in Dentistry Task Force, and Research at Tufts University School of Dental Medicine. Dr Roya Zandparsa has been making major contribution in research in various areas, which resulted in numerous published articles and book chapters. She has been lecturing and presenting both nationally and internationally and reviewing manuscripts for the Journal of Prosthodontics and Journal of Oral Rehabilitation. Dr Roya Zandparsa is an active member of American College of Prosthodontists and American Dental Education Association. Dr. Roya Zandparsa also served as the Chair of Strategic Planning Steering Committee at Tufts University School of Dental Medicine and as a member of the Graduate Student Recruitment Subcommittee of American College of Prosthodontists.